Important files for all chapters will appear at the bottom of your chapter's page. At the very bottom of the CLP Home Page, is a link to the directory of documents you can download. 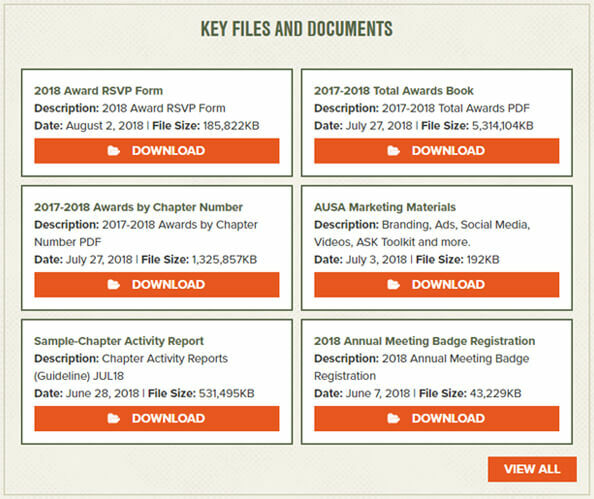 Source for documents such as Chapter Operations Manual, ASK Program, Business Card templates, membership applications, etc. It will only show the last 6 files uploaded, to view all, click on VIEW ALL. If you think of something we should add let us know. How do I download the file(s)? How do I access CLP?